Top Ten Tuesday is a meme hosted by The Broke and the Bookish, featuring a different top 10 theme each week. This week’s topic is Top Ten Books I’ve Recently Added To My TBR. I’m actually kind of proud of myself, because last week I went through my Goodreads to-read shelf and deleted 175 books that I realized I’d probably never read (some of which I had no idea why I’d ever added them in the first place). 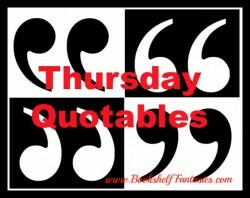 But no worries — my TBR list is still huge and somehow keep growing week by week. 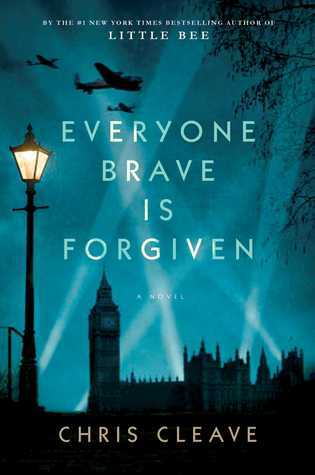 1) Everyone Brave is Forgiven by Chris Cleave (5/3/2016): A new novel from the author of Little Bee and Gold, set during WWII. 2) My Best Friend’s Exorcism by Grady Hendrix (5/17/2016): The title alone makes me giggle… plus, I thought Horrorstor last year was such an inventive twist on a horror story. 3) Defending Taylor by Miranda Kenneally (7/1/2016) — no cover yet, unfortunately… but I’ve loved everything I’ve read so far by this author, so I’m game for whatever’s next. 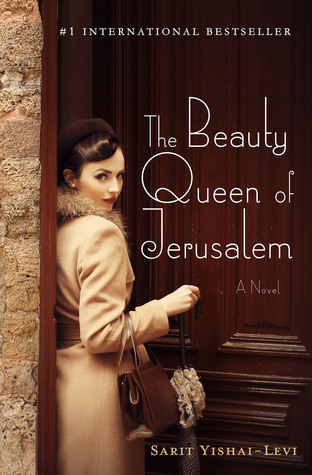 4) The Beauty Queen of Jerusalem by Sarit Yishai-Levi (4/5/2016): Historical fiction covering four generations of women in Jerusalem. 5) Wink Poppy Midnight by April Genevieve Tucholke (3/22/2016): I love the sound of this YA book — mysterious and full of secrets. 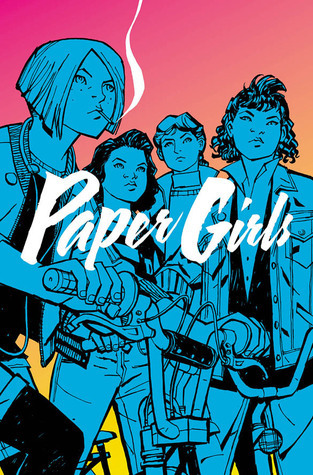 6) Paper Girls by Brian K. Vaughan (4/13/2016): Yes to anything new by Brian K. Vaughan! 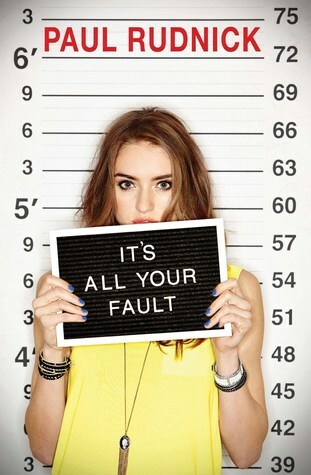 7) It’s All Your Fault by Paul Rudnick (1/26/2016): I really enjoyed this author’s previous YA novel, Gorgeous. 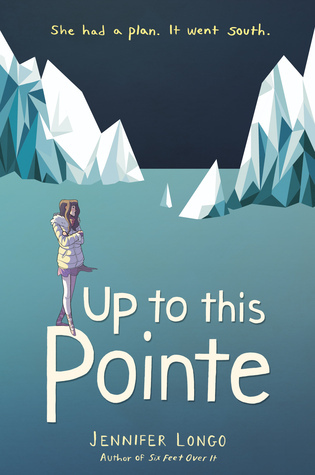 8) Up To This Pointe by Jennifer Longo (1/19/2016): I also really enjoyed this author’s previous book, the YA novel Six Feet Over It. The plot has something to do with ballet… and Antarctica… and I don’t know how that fits together, but I want to find out. 9) To the Bright Edge of the World by Eowyn Ivey (8/2/2016): Can’t wait for the new book by the author of The Snow Child. 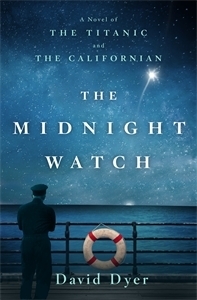 10) The Midnight Watch: A Novel of the Titanic and the Californian by David Dyer (4/5/2016): I’m always fascinated by anything to do with the Titanic, and this novel sound like it has an interesting and different perspective to share. 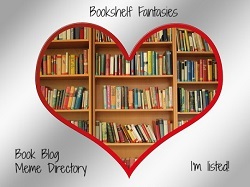 What’s new on your TBR shelf? Please share your TTT links! I can’t believe I don’t have Wink Poppy Midnight in my TBR yet, I am adding that now 😀 Hope you get to read these titles soon! Thanks! I wish I could get my hands on an ARC for Wink Poppy Midnight, but I haven’t seen it on NetGalley yet. So excited for Defending Taylor! 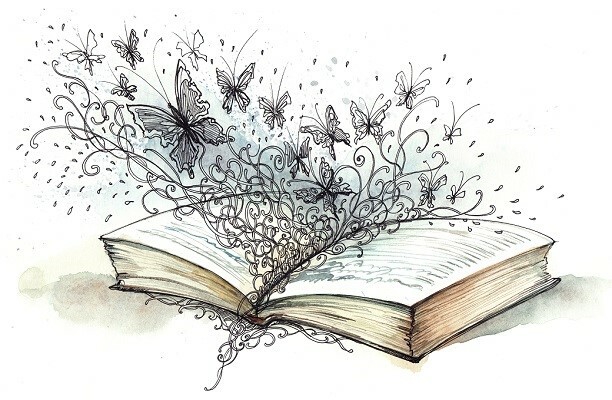 Totally agree that all of Miranda Kenneally’s books are amazing. Which one’s your fave? I haven’t read all of them yet (I still need to get to the first three), but I really ended up loving Breathe, Annie, Breathe. How about you — which is your favorite? I haven’t read Breathe, Annie, Breathe. Is it set in the Hundred Oaks universe? My memory is a bit shaky XD My favourite would probably be Things I Can’t Forget. I hope you enjoy reading the first three! Hope you enjoy it! It was an awesome start to the series. Everyone Brave is Forgiven has a nice cover- and Paper Girls looks interesting! I love that title, Everyone Brave is Forgiven. I haven’t heard of many of these titles, I’ll have to check some of them out 🙂 Happy reading! I’m really looking forward to Everyone Brave is Forgiven! I believe it’s the author’s first historical fiction (I could be wrong) — eager to see what he does with it. The cover to To The Bright Edge of the World is insanely gorgeous! 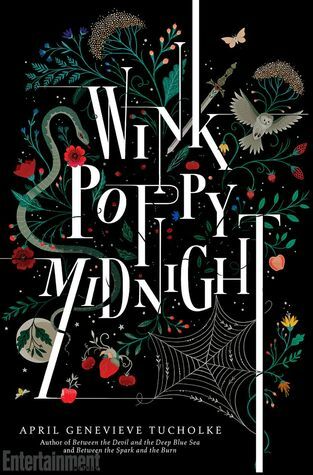 And I’ve always really liked the cover to Wink Poppy Midnight, though I am still not sold on the story just yet. 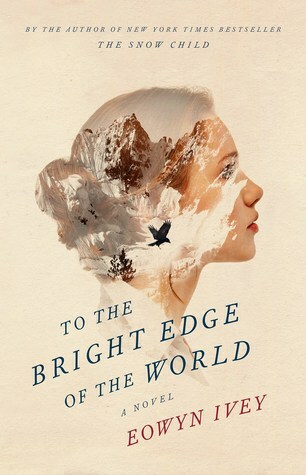 I agree, I love the cover for To the Bright Edge of the World! My Best Friends Exorcism, sounds like it’s going to be a good one. Great Top 10! Ha, yes, it looks like such fun. Thanks! 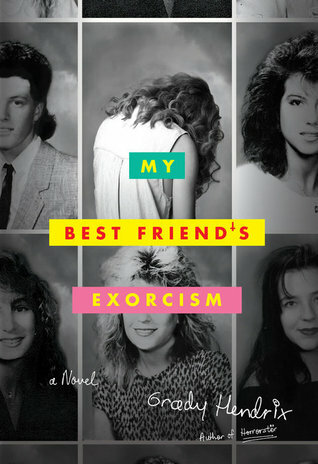 I’ve added My Best Friend’s Exorcism based on the cover alone. That’s just the best. Isn’t it great? 🙂 If you haven’t seen it, check out the cover of his previous book, Horrorstor — it’s priceless. I need to add Everyone brave is forgiven to my TBR. I am such a sucker for stories set in WWII. I love that title and the cover. Me too! The title really has me thinking — it seems like there could be so much meaning to it. The Beauty Queen of Jerusalem and Up to This Pointe both sound crush-worthy! I’m also adding Six Feet Over It to my goodreads wish list – thanks for the recommendation. So many of these look awesome. Wink Poppy Midnight and Papergirls are both titles that I’m extremely tempted to add to my TBR pile. Must. Resist. Urge. I’m trying to cut down on my TBR pile this year. Ha, I keep saying that I’m cutting down, but it keeps going up instead! Thanks! Good stuff coming up! Lisa, your list is dangerous for my TBR! These look amazing. I hope you enjoy them! Thanks so much! I’m really excited… but scared by how many books I keep adding! Everyone Brave… looks great too, and I’ve never read anything by that author before, so might check that one out. Thanks! I think I’d like to re-read The Snow Child one of these days.